The latest film from Uncork’d Entertainment comes from I.D. Entertainment. It Watches is directed by Dave Parker, best known for the “Sweet Tooth” installment of 2015’s horror anthology, Tales of Halloween. That opening salvo of the film was one of the anthology’s highlights, mixing strangeness, humor, and not a little gore into an effective mix. Given the director’s work in gory, effects-laden projects – such as The Dead Hate the Living! or The Hills Run Red – it isn’t without a little curiosity that one watches Parker’s newest film, with it’s rather more sedate and restrained concept. Directed by Robert Conway, Uncork’d Entertainment’s latest, The Covenant, is a demonic possession picture from the director of Krampus Unleashed, and starring several of Uncork’d’s regular retinue of performers. Director Mark Allen Michaels’ The Fiancé is an interesting feature, with an intriguing combination of Bigfoot movie meets Russian mobster flick. When there’s also elements of reality TV and a romantic backstory, the film could’ve easily been an absolute mess, but the various pieces form an intriguing pattern which manages to sustain interest and entertain for the entirety of the film. From its very opening, C.A. Cooper’s The Snare is not messing about: a crescendo of music plays on a black screen, rising until it cuts out, with a smash cut to a cemetery. We get a couple shots of the graveyard before it cuts again to a rotting bunny, with emphasis on the maggots crawling all over it. For fans of 2011’s horror-comedy anthology Chillerama, Alex DiVincenzo’s new short, Trouser Snake, will provide a delightful reminder of just how fun a well-done parody of classic genre films can be. DiVincenzo’s Trouser Snake runs just five minutes, but definitely entertains for the entirety of its brief screen time. Taking a tongue-in-cheek view of ‘50s monster movies, this short homage plays more like a trailer than an actual short, but the imagery and concepts within give a series of giggles. Jackson Stewart’s love letter to ‘80s horror has been making the festival rounds all year, and it’s been racking up kudos from the start. Beyond The Gates won the Nightfall Award at the Los Angeles Film Festival, its first outing, and since then, it’s been nothing but plaudits — and justifiably so. While some films heap on winking asides and wallow in nostalgia, Stewart’s directorial debut instead finds the ambiance of those classic VHS flicks and brings them into the modern era. With her roles in such ’80s horror classics as Re-Animator, Chopping Mall, and From Beyond, as well as her comeback films You’re Next and We Are Still Here, it can readily be said that actress Barbara Crampton is an icon of the genre. In Beyond the Gates, the debut feature from Jackson Stewart, however, Crampton takes on a new role in addition to that of an actress, for the first time she’s a producer. The movie – about a VHS board game with sinister implications and repercussions, and the two brothers who discover it – is a throwback to those fun films which made Crampton‘s name and career. 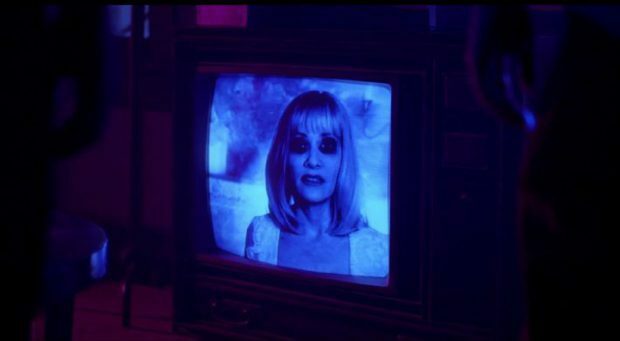 We spoke with Barbara Crampton by phone from her home in San Francisco about Beyond the Gates and her approach to acting. Given the sheer length of advance work on The Night They Hit Back, it seems like there’s a lot riding on director Jason Thorson’s short — along with his co-producer, Chris Haag, Thorson spent two and a half years in pre-production on The Night They Hit Back, shot it in four days in the summer of 2014, and only just released it. That’s nearly four and a half years of work on a half-hour film. Adrian Țofei’s Be My Cat: A Film for Anne is Romania’s first found footage horror movie, and it is spectacularly unsettling. Țofei wrote, directed, produced, and stars in this film, which is about a young man in Romania who is making a movie in order to convince Anne Hathaway to come and star in a movie he is making. As the film progresses, the character of Țofei goes to ever-increasing (and disturbing) lengths to prove himself to the Hollywood actress.